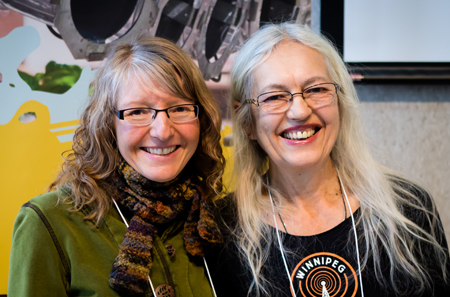 On January 24, Janine Tschuncky and Katherine Bitney presented the Boreality Project at the Arts & Cultural Industries’ annual symposium, Artists & Community. The Boreality Project is a unique collaborative effort between Prairie Fire Press, Manitoba Chamber Orchestra, six boreal communities and five Winnipeg-based artists. For more information, click on the Boreality button on the home page.